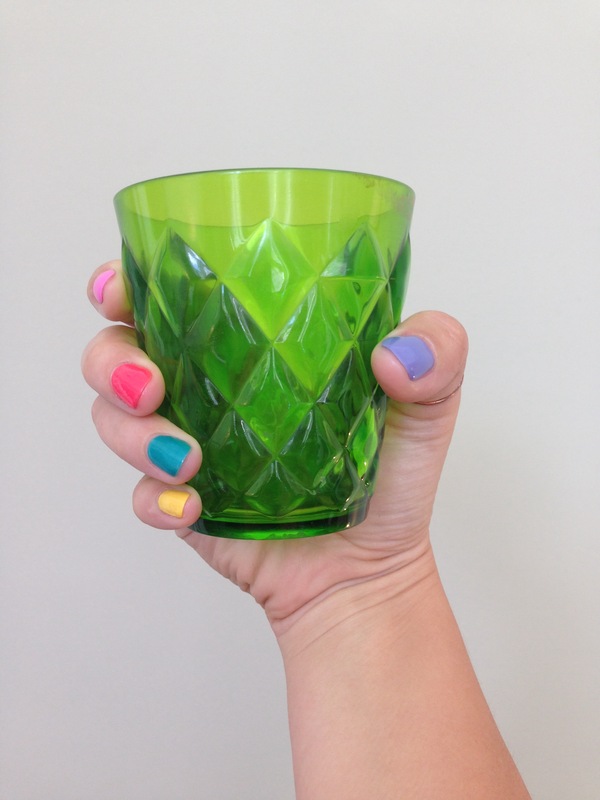 It’s Brighton Pride this weekend and I’m celebrating and supporting it with a rainbow gel mani! Why not? 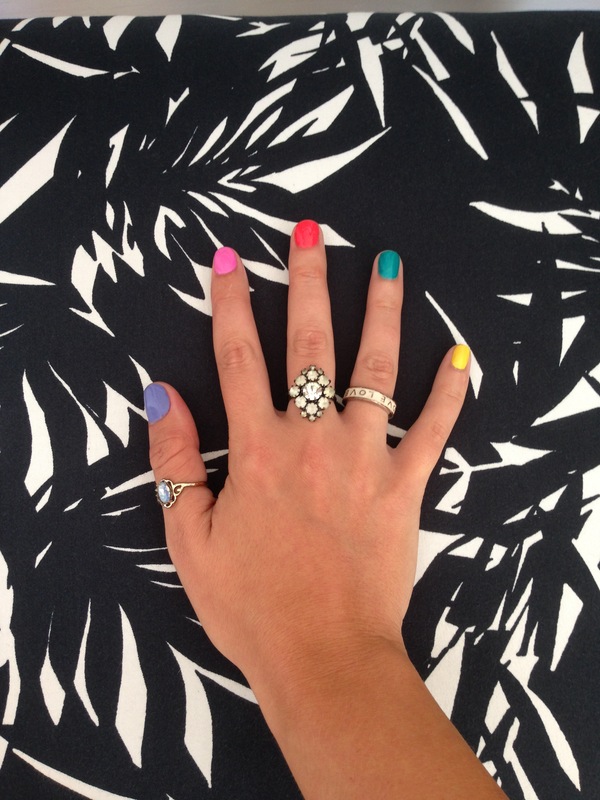 Multi-Colour manicures are hot for summer 2015 and if you’re indecisive – don’t settle for one shade, choose them all. You could go all out and visit Powder Beauty Boutique not just for the manicure but for professional makeup too. I love this rainbow eye look, perfect for the festival season and paying homage to Pride. The orange tone gel polish on my middle finger is a key shade for autumn winter 2015-16 so you’ll be seeing plenty of this. Look out for this bright hue in the form of faux fur gilts, wide legged trousers and turtle necks a la the 1970s vibe. The jade green on my ring finger is another autumnal big hitter. This bold colour will be gracing faux fur coats, opaque tights, footwear and accessories – from tippets and hats to handbags and flats. The below Gucci collection shot epitomises this new elegant, confident and glamorous hue. I’m really drawn to it right now and it is in fact the shade of the accent wall in Powder’s new Vogue Room at the new premises (36a Duke Street, Brighton). Have you been yet?..